Sleep. What a wonderful thing. However, babies don't always get that memo do they? The endless hours feeding, nappy changing, burping, cleaning up sick and cuddling doesn't leave much time for sleep. 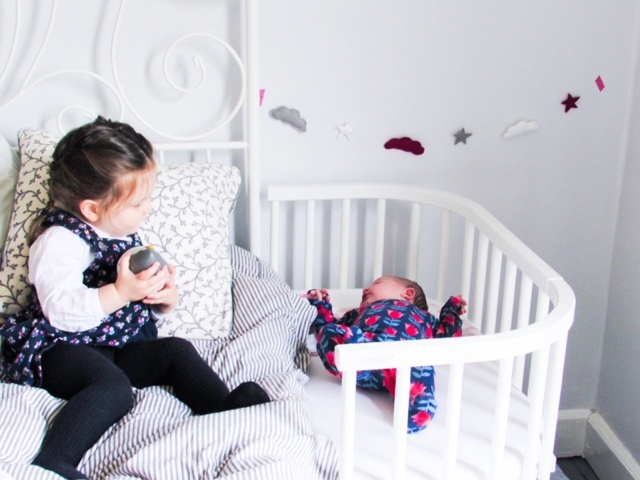 There's no denying that the early days of parenthood are hard, but luckily they're short lived and there are products like the Babybay that can make life that little bit easier. 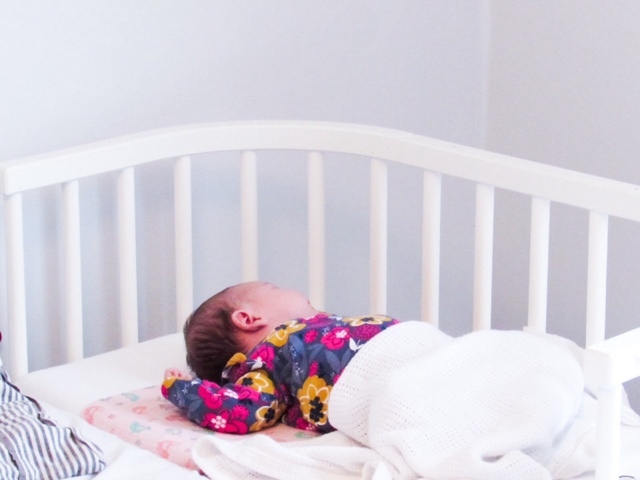 Co-sleeping was something that we covered in our NCT classes when I was pregnant with Isabella, but the risks out weighed the benefits for me personally. 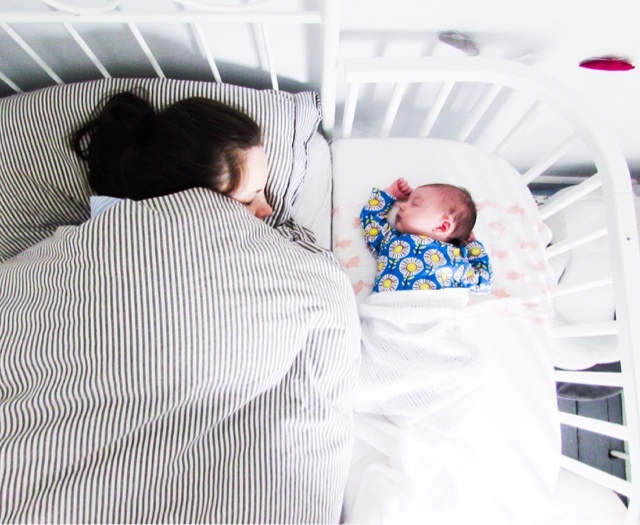 I was too scared to ever co-sleep, despite loving the idea and having a baby that didn't sleep through until she was 14 months old. 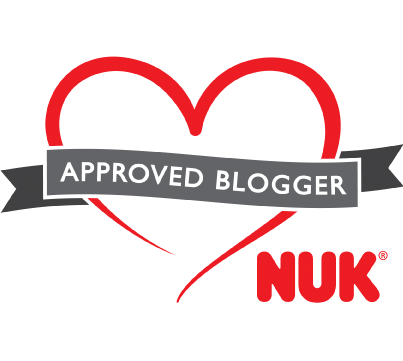 So when I found out we were expecting our second baby I wanted to find out more about the world of co-sleeping safely. 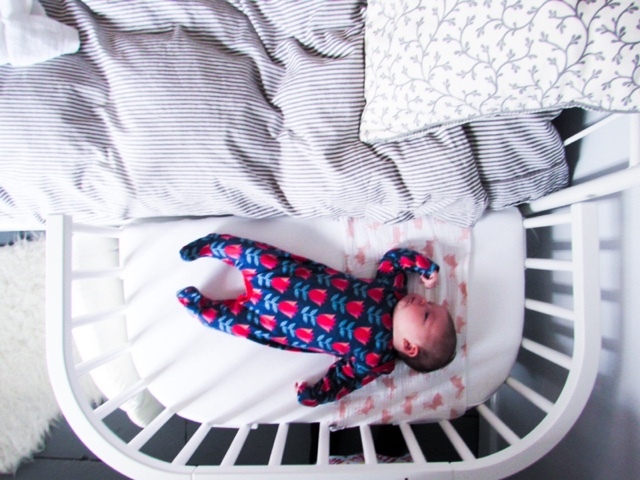 If there's anything to make you want to find ways to support your baby's sleep it is not having a solid nights sleep for 14 months, that's for sure! The Babybay Convertible* (£199.99) is a multi-award winning co-sleeper that provides a safe sleeping area for your baby whilst still being close to you. 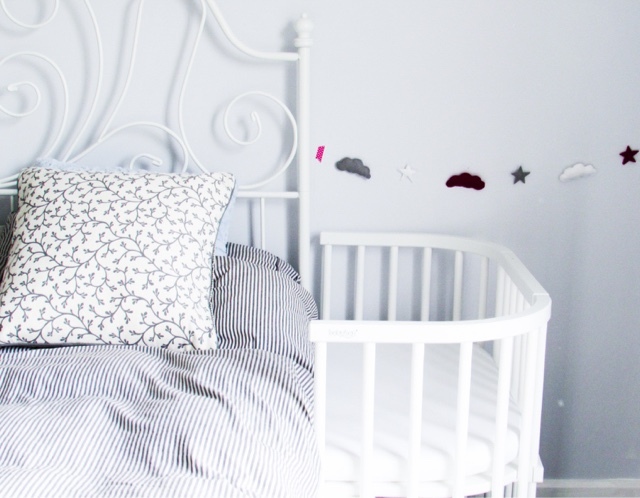 The perfect compromise if you want to co-sleep, but are also worried about the risks involved. 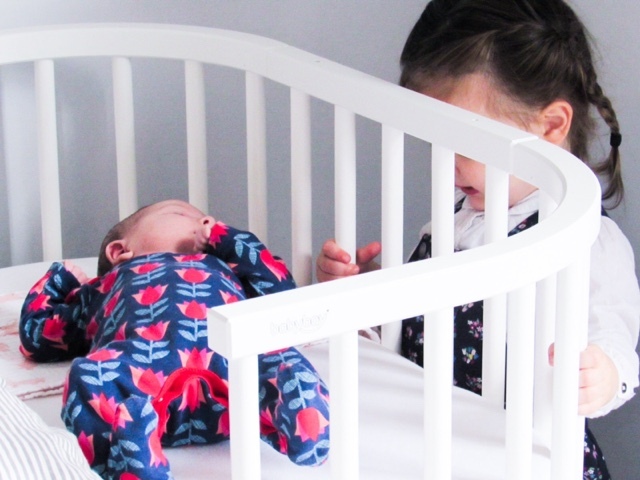 The Babybay securely attaches to the side of your bed using a patented clamp system, with the added bonus of it fixing to any height or style bed for total flexibility. It is available in an array of colours, including white, grey, beech and dark brown. 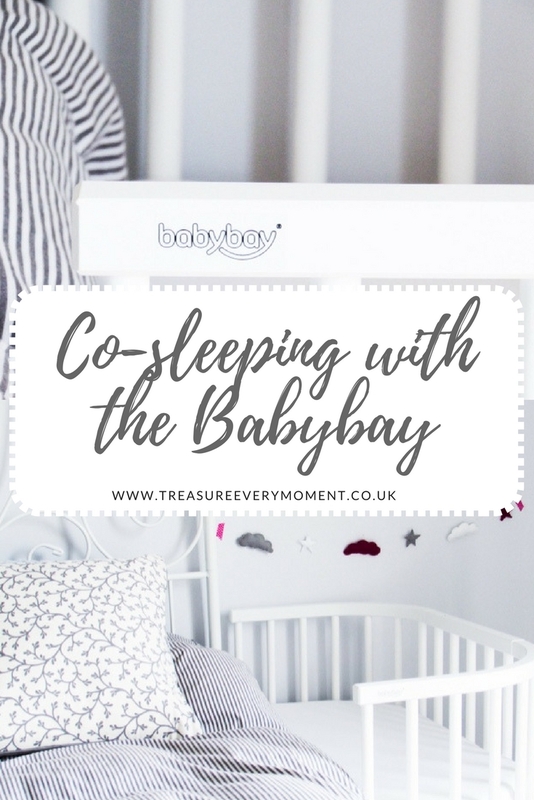 I was so excited to give co-sleeping a go this time, the benefits are vast and the fact it could be done safely with the Babybay took away any of that worry I had with Isabella. I was really hoping that having Poppy nearer to me during the night would make the night feeds that bit easier, especially as I was recovering from birth. 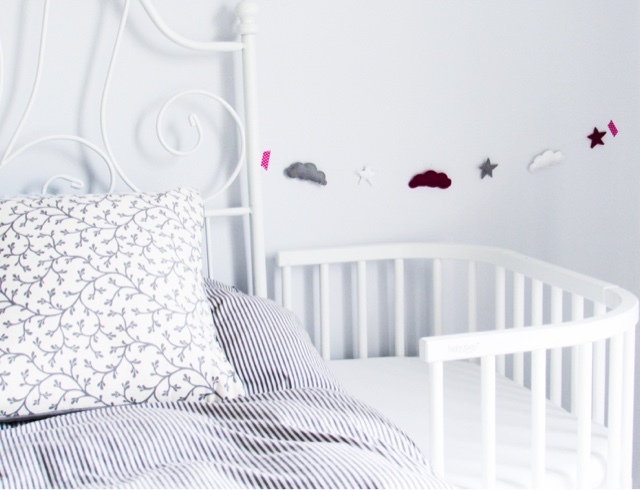 The reality of safely co-sleeping has been more than I could have ever wished for. 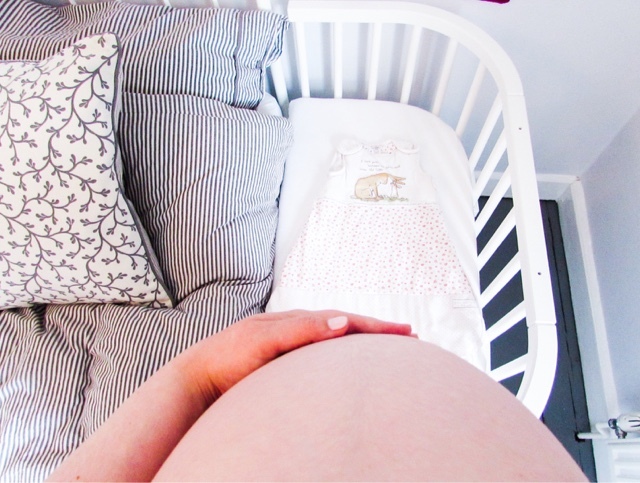 Simply being able to lie next to Poppy and watch her sleep is the most magical thing, no peering over the edge of a moses basket or constantly having to sit up to see if she was still breathing (yep...I'm that paranoid second time mum). The Babybay hasn't just given me peace of mind, but I'm convinced it contributed to Poppy being such a good little sleeper. In the first few weeks she was home I would wrap my arm around her, as she lay in the Babybay next to me. This closeness helped the transition between womb and world, as well as comforting Poppy with my smell, warmth and heartbeat. Almost as soon as she came home she was sleeping in 3-4 hour solid blocks throughout the night, a far cry from Isabella's waking up every hour as a baby. As Poppy became accustomed to the big wide world I stopped wrapping my arm around her and instead just lay next to her, that is enough now. 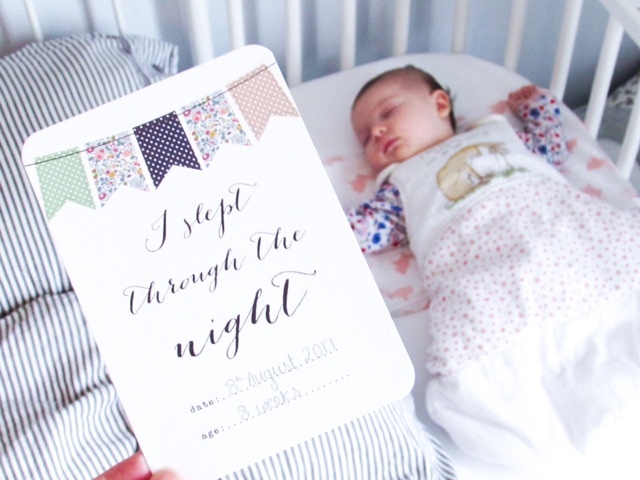 At only 8 weeks old she slept through the night (11.30pm-6.20am) in the Babybay - what a dream! 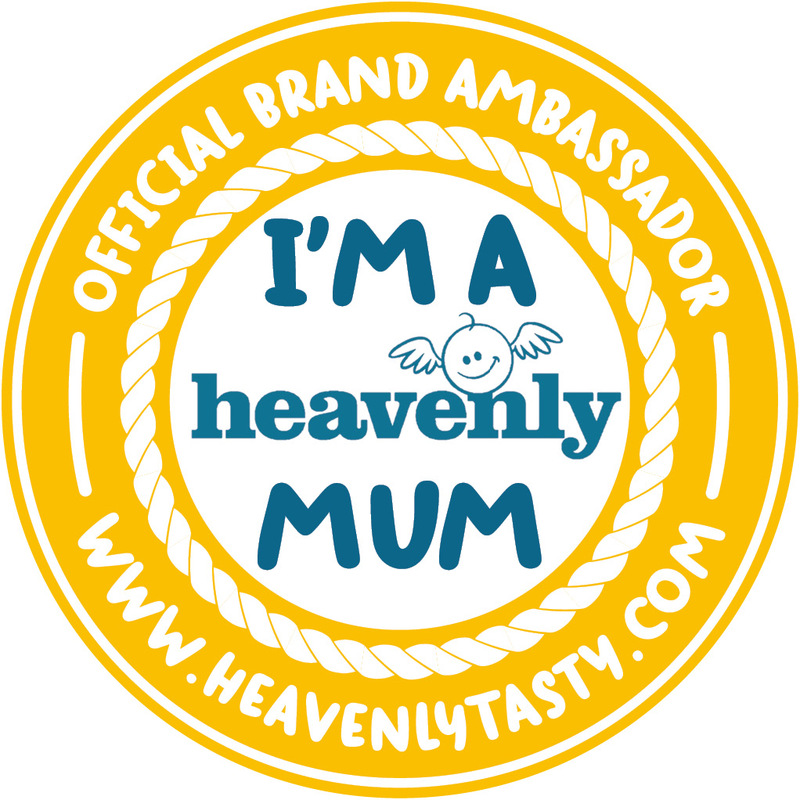 Another incredible feature is that it makes breastfeeding throughout the night so much easier. As the Babybay is at the same height as our bed it means I can hear when Poppy is stirring before she starts crying, which is ideal for reducing the risk of Isabella or my husband being woken up. It also means I can safely bring Poppy closer to me and feed on my side, making those night feeds more bearable. 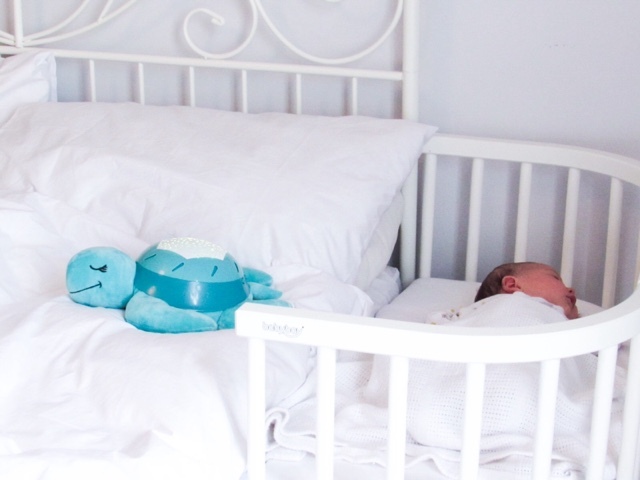 Once she has finished feeding I quickly place her back in the Babybay and she'll stay asleep; there's nothing more frustrating than spending ages getting your baby to sleep only for them to wake up as you move them to where they sleep. When your baby is too old for the Babybay you are able to convert it into a bench seat, desk or highchair. I love this about it because it really does last for so many years, unlike moses baskets or a lot of other co-sleepers. 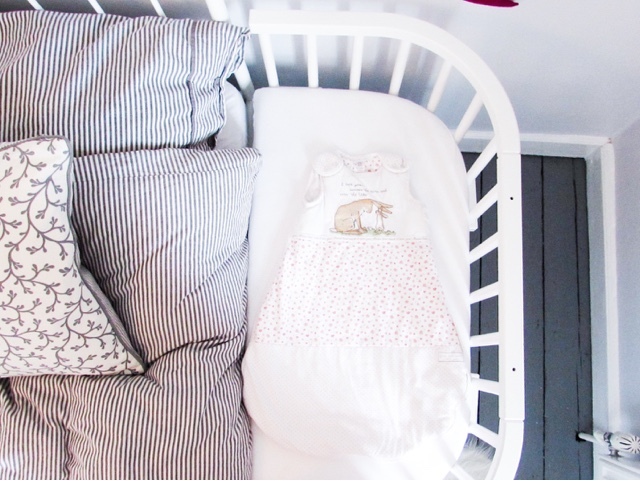 You can also buy a side rail, so that it can be a stand alone cot too, giving parents much needed flexibility. 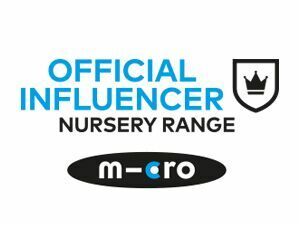 I honestly can't recommend safe co-sleeping with the Babybay enough, it has not only made my life easier in these early months but also given me so many special memories and moments. I'll never forget what it was like to sleep next to Poppy and the hundreds of photos I've taken will help me not to forget too! awww i love this. Wish id be lucky enough to have one when my two were born, was a nightmare trying to get them to settle in there moses basket. What a fantastic idea! 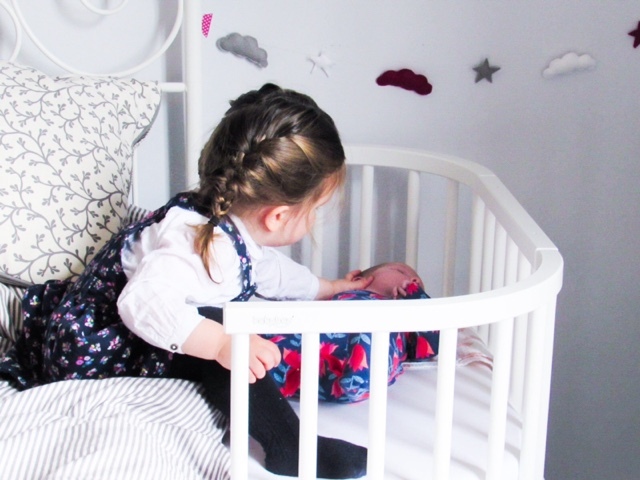 I love this, wish it had been around when my girls were little :) We did a lot of co-sleeping, I just found it much easier and helped me to get some much needed sleep. 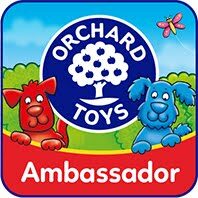 I so could have done with one of these when B was little. I slept with him on my chest for 6 months. It's crazy I never moved an inch. This looks so lovely. 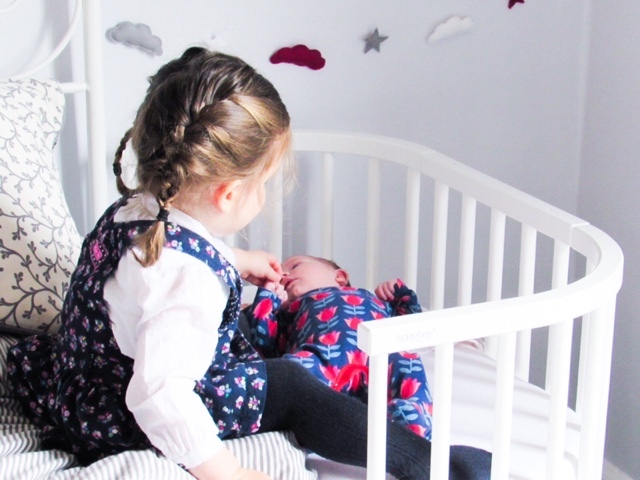 I really would love a co-sleeper when we have a second, as I loved co-sleeping with my little boy but he had a stand alone crib and I think a co-sleeper would have made the early days so much easier! Also I adore your photos! Our babies slept in with us in the beginning too. We just put them in the middle of our large double bed though. This would have been a great alternative. This looks like a far better set up than a Moses basket! I LOVE this! I always wanted to co sleep but was too scared of somehow smothering my baby. So she was in a basket next to the bed, which had me up and down constantly checking on her. It would have been so lovely to just reach over and lay a hand on her. This looks fantastic! I wish I had one of these when my daughter was a baby the peace of mind it gives is phenomenal what a genius invention! How cute are your two little cherubs. That Baby Bay looks ideal.